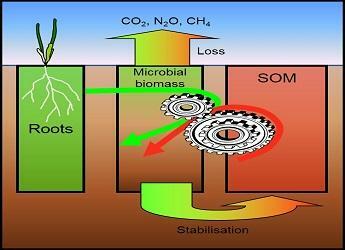 Understanding these interactions and their consequences for soil functions provides insights into how the great diversity of soils in Scotland contributes to services such as greenhouse gas mitigation, plant productivity, biodiversity and water quality. It also allows us to identify indicators that can be used to measure impacts of management on these functions. The research builds of previous work within the RESAS Strategic Programme and on collaborations with UK and International partners. This fundamental research is providing methodologies and conceptual understanding to be applied in the contexts of developing soil, habitat and agronomic management practices in wider Theme 1 and Theme 2 research objectives.